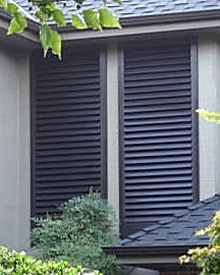 Overlap rabbeting on exterior shutters is a groove along the vertical edge that allows one shutter to overlap the shutter next to it. 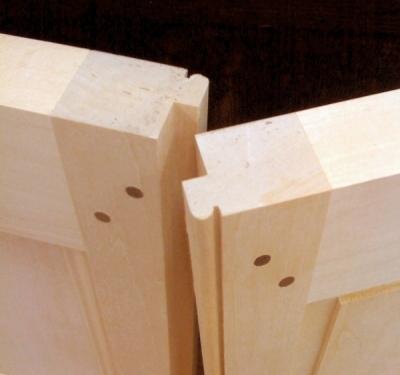 An overlap rabbet is very much the same as what is termed as a shiplap joint or half lap joint. 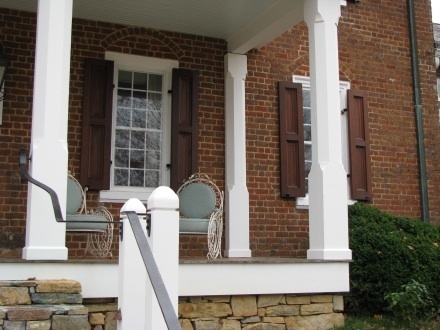 Overlap rabbeting can be found on all functional exterior shutters and for a very good reason. 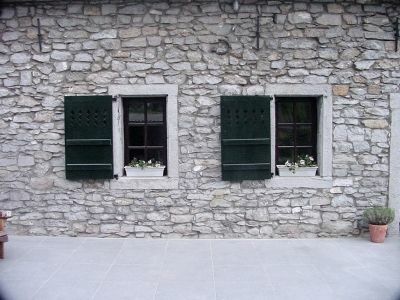 With an overlap rabbet the shutters will close over one another eliminating any exposure in the center leaking rain, light or air . 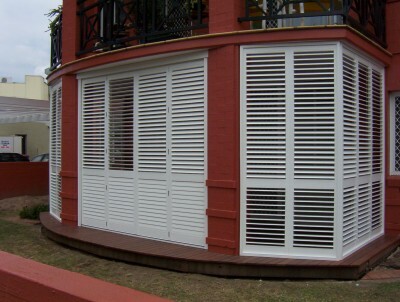 The overlap rabbet also creates a solidness to a closed pair of shutters locking them tighter together to eliminate any “shuddering” for better storm protection. 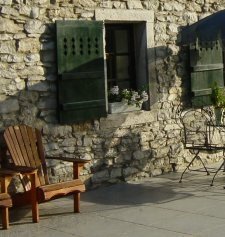 Is Overlap Rabbeting just for Exterior Shutters? 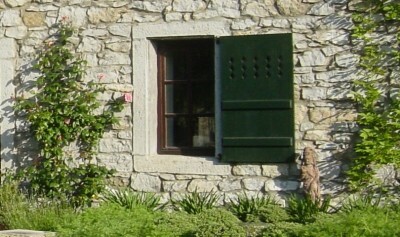 An overlap rabbet is just as important for interior shutters. With an overlap rabbet UV rays are blocked from damaging your room furnishings as well as providing a tighter seal over the window giving better energy efficiency. 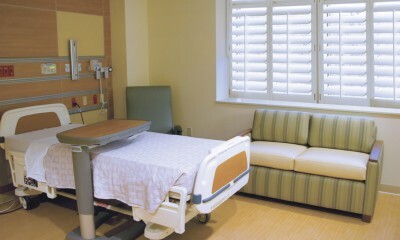 If you are using your interior shutters as blackout shutters for a bedroom or a media room overlap rabbeting is a must. 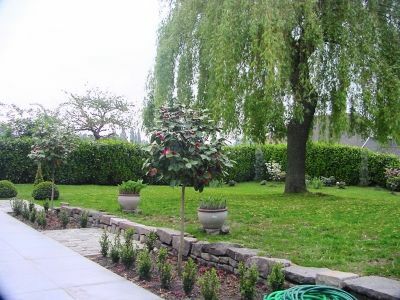 Overlap rabbeting is decorative, as well as functional, giving a neater and more finished appearance. If you look at the picture to the right you will see the half-round bead detail. 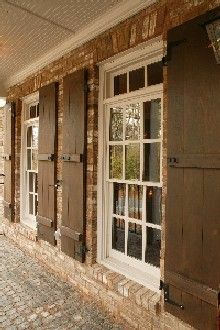 This is shaped into the wood shutters to give a more uniform look to the face of the shutters. This type of rabbet is referred to as a beaded overlap rabbet. When should I use shutters with overlap rabbeting? 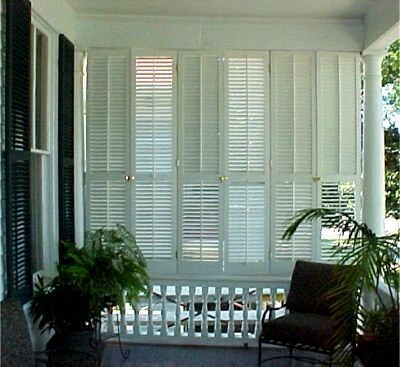 A good rule of thumb, for both interior and exterior shutters, is to have an overlap rabbet if your shutters are meant to be functional or at least look functional. It is an option that adds very little to the cost but greatly increases their value. Summertime and a porch go hand in hand. It’s that inviting outdoor sheltered area to relax for a moment, recline and rest our feet, and maybe even watch a casual passerby. It is also a place to read in the best lighting, gather with friends and family for refreshments such as lemonade and even just doze off in a chaise lounge. 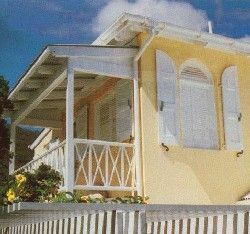 Prior to indoor air conditioning a porch was the place where everyone including the family dog could escape stifling indoor heat. 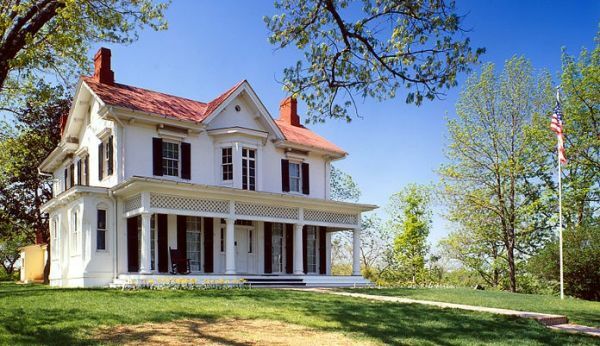 It is easy to see the charm in a porch and why so many historic homes have at least one. 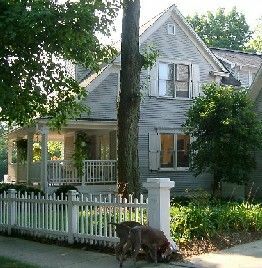 If your home has a porch but you find that it could use a tad bit more privacy to enjoy your outdoor space or maybe you could even use shade from a hot sunny afternoon here is a clever solution. 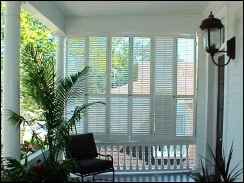 You can build a privacy screen with exterior louvered shutters between the porch posts. 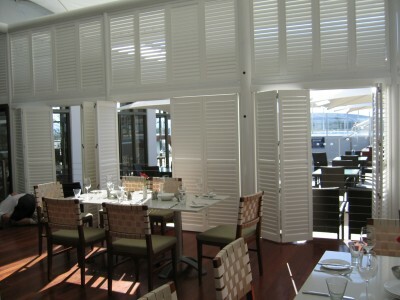 With operable louvered exterior shutters you can create a visually pleasing partition. 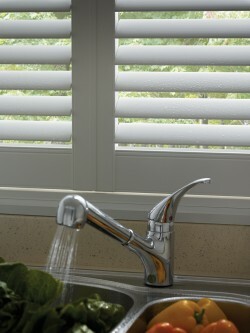 Since the louvers are fully adjustable you won’t even need to give up a summer breeze passing through. 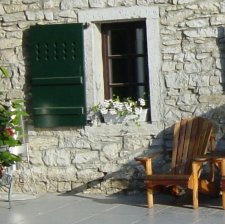 Even though our exterior shutters are made to be authentic and fully functional there are times when they are installed for decoration. 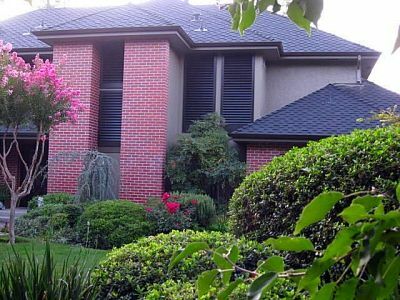 Most decorative shutters are mounted to either side of a window, often using real shutter hardware give the look of truly functional exterior shutters. But what do you do when you have no windows? 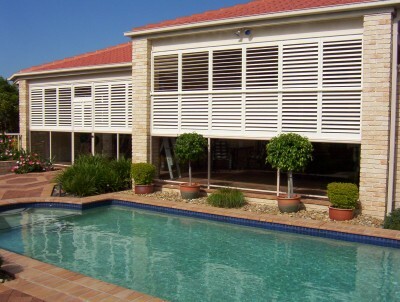 The customer above solved this by mounting fixed louvered exterior shutters directly to their home. 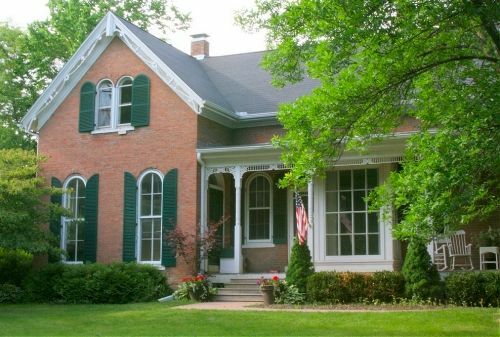 This not only added curb appeal and interest to the front of their home, but it also gives the illusion that there really are windows behind those exterior shutters. This trick has long been used in commercial interiors where make-believe windows are strategically place to make a more comfortable lighter airy feel to a store’s layout rather then the four walls of a mall. The Hollister Store is certainly astounding with the many interior Plantation Shutters, many of which are made by us, installed throughout their stores. 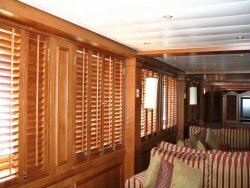 With a big focus in recent years towards basement remodeling this trick can also be used with interior shutters. 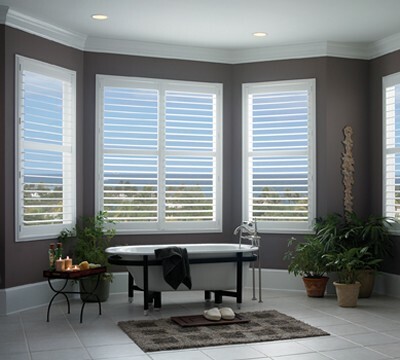 Just by installing a boxed window casing fitted with interior shutters on any wall you will make windows appear before your eyes for a lighter more natural feel inside under-the-ground. 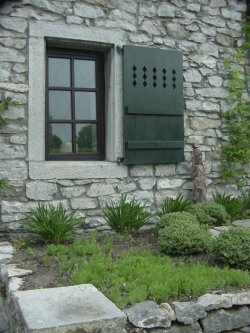 The story behind the exterior shutters on this stone home in Belgium for Memorial Day. 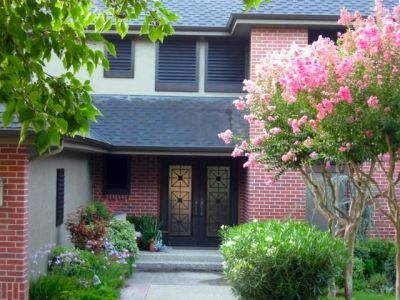 Often when we think of exterior shutters we think about how they add curb appeal. Improving the exterior of our home. Sometimes, though, they can be part of a much greater transformation. 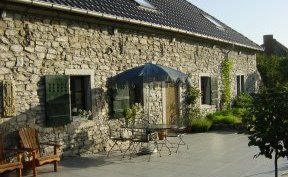 The building shown above, located in Chièvres, Belgium, started out as a stable. During WWII it had the unfortunate location of being right next door to the local Nazi headquarters. 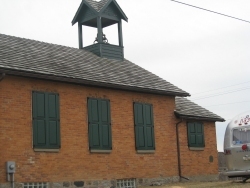 Local legend has it that these stables ended up being used to hold and interrogate prisoners. After it was delivered from such a use by the Allied forces in the Fall of 1944 it eventually fell in to disrepair. Over the course of those 15 years the new owner took this shell, turned it in to a house and finally, with lots of hard work, made it in to a home. 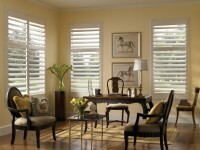 It is an honor to have our shutters and doors chosen by a customer. 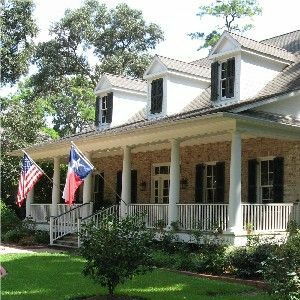 In this case we are stirred with remembrance knowing that our exterior shutters helped transform this building with a dark past into a comforting home. It is a Memorial set in stone.